There are many and varied reasons why businesses embark on projects to transform the way they operate. Before we review where these projects emanate from it helps to have an understanding of the core concepts of business transformation which we outline below. 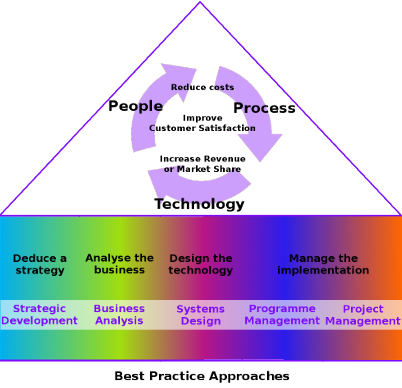 Core concepts of Business Transformation (BT). From our experience, we have found the key DRIVER (or catalyst) for change is the business’s focus on improving its health and longevity. The following extract highlights the drivers, benefits, types and outcomes a business seeking to change the way it operates could expect to derive from the transformation. The outcomes the business will derive from this strategic objective will be to align new capabilities with new opportunities to Reduce costs, Improve customer satisfaction, Increase profits or market share.